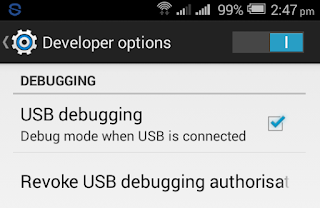 To test Android App using Real Devices such as Android Mobile or Tablet, firstly you need to Enable USB debugging. 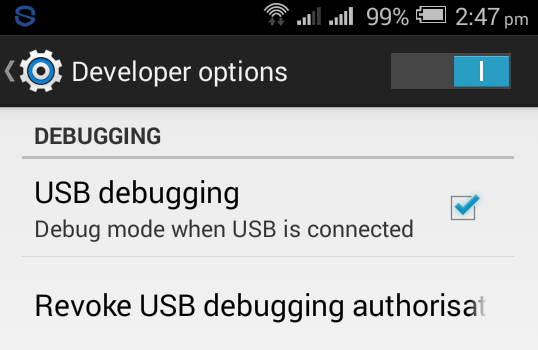 This USB Debugging option is available inside Developer options which may not be directly available to Android users. 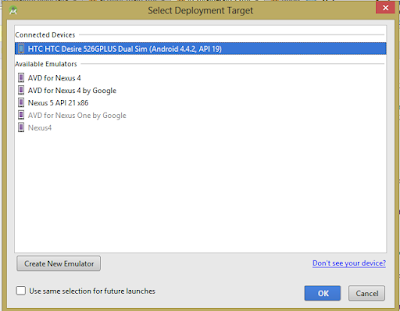 1) Select SDK Manager in the android studio. 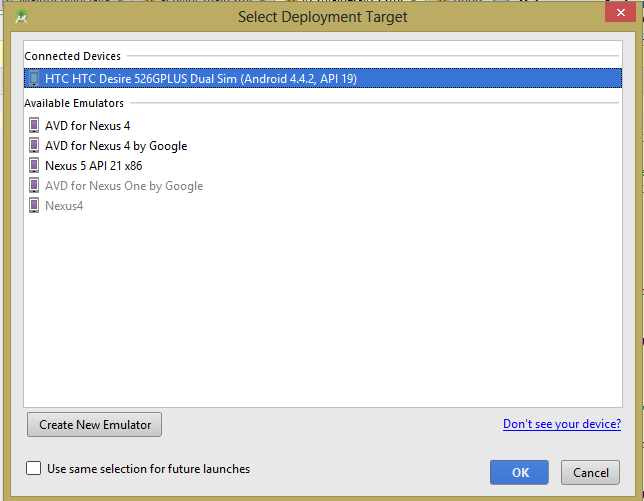 2) Checkmark on Google USB Drive and install package. 3) After installing Google USB Driver close SDK manager and connect the phone with the windows computer. 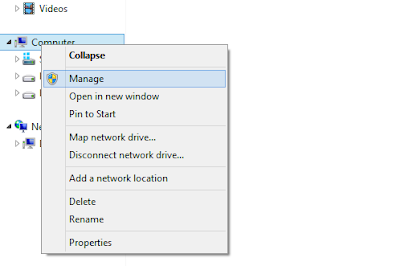 4) Now click on windows explorer and right click on Computer. Select Manage. 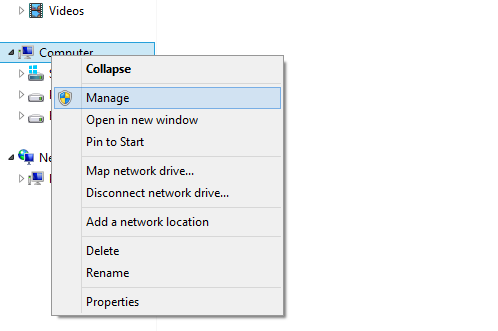 5) Now select Device Manager -> Portable Devices -> Your Device. 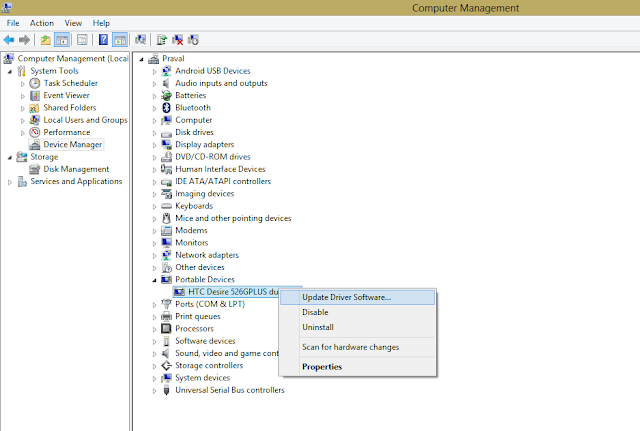 Right click on your device and select Update Driver Software. 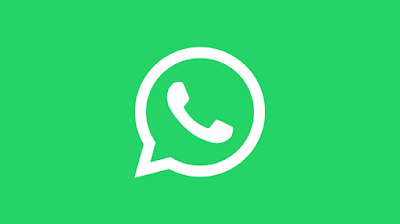 6) Now select Browse my computer for driver software and browse path as C:\Users\UserName\AppData\Local\Android\sdk\extras\google\usb_driver. 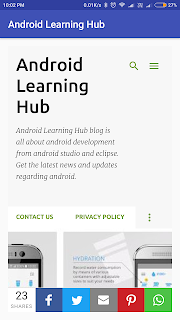 Now your PC and android studio can recognize your device and it will look like this.